When it comes to secure identification, location is a useful behavioral factor when verifying that someone is who they say they are. Behavioral authentication factors relate to characteristics which are unique to the individual, including typing rhythm, mouse movement and geographical location. Given the widespread use of mobile devices, geographical location is a particularly interesting modality for behavior-driven authentication. This is all thanks to the widespread use and availability of GPS, WiFi, Bluetooth, and other device-reading sensor technologies. Providing the user has consented to collecting location information, we can determine which places the user typically visits and then compare them to the reported location for the current authentication attempt. In this way, we are able to determine whether the reported location matches the user’s typical behavior. With a view to reducing friction, this method of authentication is particularly attractive because it requires little to no additional effort by the user when initiating the authentication attempt. Our latest whitepaper looks at the possible approaches to location-assisted authentication and introduces our machine learning-based solution for behavior-driven authentication. 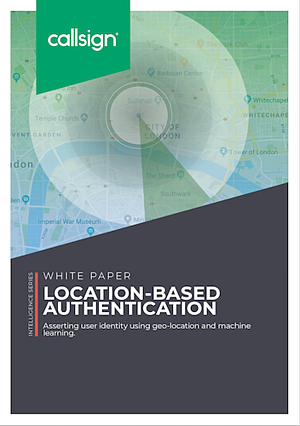 Click here to download our whitepaper on using location as a method of authentication.